I had such a beautiful and productive Saturday, despite having a toothache. Today, however, the kids (namely the toddler, as usual) is grating my nerves. An attempt to get a nap with Spencer (as the husband strongly suggested) resulted in a very short nap which just made my toothache worse. 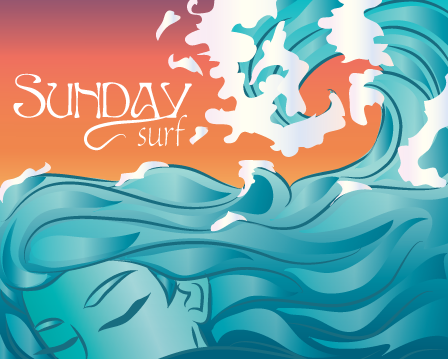 I totally spaced Sunday Surf last weekend, so here are two weeks worth of links! To praise or not to praise: Is that the question? I've written before about not praising OR disciplining children, namely in my EC - No Praise / No Discipline post. The first time I heard Alfie Kohn (on DVD) talk about not praising kids, it made sense to me... or at least his reasoning did. Still, I felt a little lost about where to go from there. 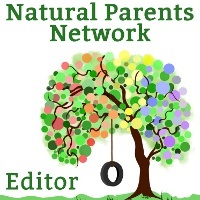 Click over to read a guest post from Amy Phoenix from Presence Parenting on Hobo Mama's blog. She went through the same confusion... but came out with some great explanations and tips for us! As I'm facing mixed emotions about choosing to wean my own toddler, this very sweet and yet bittersweet post from Fine and Fair brought tears to my eyes. If you'd like to see an example of how wonderful it can be, please click over to read this post. I wrote about this sort of "Etiquette" during Down Syndrome Awareness Month, but this article has some amazing ideas I didn't cover. I also recommend reading the comments. from our camping trip last Fall. If you're curious about Elimination Communication, this new blog offers a glimpse into the very real world of practicing EC with a newborn. Definitely check out the About page, too. 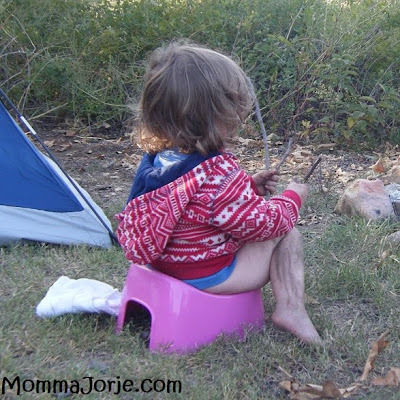 I've always loved that word, pottytunity! I'm joining Authentic Parenting and Hobo Mama for Sunday Surf. Share your best reading of the week, and link up your post at either blog! For more great reading, visit Hobo Mama or Authentic Parenting for the latest Sunday Surf and linky. Monday Minimalist: How low can you go?